If you are interested in buying bulk quantities to re-sell please Contact Us for bulk quantity prices. Description: Mirror polish finish, high grade 440C stainless steel professional hair cutting shears. Free Shipping! Free Leather case with the purchase of your hair shears ! Description: Excellent hair cutting scissor with a beautiful design. Broad cutting blades. Available at an amazing low price. Description: Mirror Royal Pro is a lovely look scissor with broader blades. A perfect scissor for stylists who want style in their hands. Description: A very nice hair cutting scissor made of professional grade stainless steel for the hair stylist. 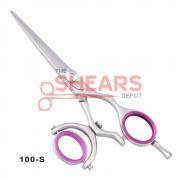 Description: High grade professional hair cutting shears. Free Shipping! Free Leather case! Free finger inserts with the purchase of your hair shears! 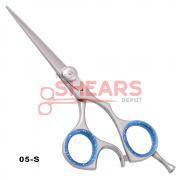 Description: Excellent high grade stainless steel hair cutting shears. Unique design. Very popular shear. Free Shipping! Free Leather case! Free finger inserts with the purchase of your hair shears! Description: Excellent polish. Extra sharp. High grade stainless steel professional hair cutting shears. Free shipping! Free Leather case! Free finger inserts with the purchase of your hair shears! Description: Razor sharp japanese stainless steel professional hair cutting shears. Free Shipping! Free Leather case! Free finger inserts with the purchase of your hair shears ! 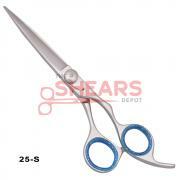 Description: Razor sharp professional hair cutting shears made of high grade stainless steel. Free Shipping! Free Leather case! Free finger inserts with the purchase of your hair shears! 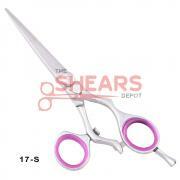 Description: Razor sharp high quality 440c stainless steel hair cutting shears. Come with Free leather case! Free shipping! Free finger inserts of your color choice with the purchase of hair shears ! Description: SUPERIOR QUALITY FREE SHIPPING! FREE LEATHER CASE! FREE FINGER INSERTS!